If you are wondering what Cabo San Lucas resort is right for you? Feel free to call me (323)-455-3342. T.
A note below from Chelsea That touched my heart!!! There really are no words for how thrilled we are to have chosen Alec & T to photograph/video our wedding. From the moment I spoke to T on the phone about our wedding, I knew I had to have her there. Her energy is contagious and her enthusiasm palpable. What an extreme bonus to meet Alec and learn that he has it too! We are so blessed to have had pleasure of Alec & T as our wedding photographers/videographers. They made our nerves melt away from the moment they entered the scene and made us feel like ours was the only wedding on earth. Their ability to get us to relax, get amazing shots, efficiently use the time, and make it all fun in the process is truly a gift. I have been to so many weddings I’ve lost count and never have I experienced a photography team that was so present yet so unobtrusive. My mother used to be a professional photographer and she was blown away by the ease at which you moved throughout the evening. You made it extremely fun and we felt like supermodels for a day! Everyone was sad when it was time for you to leave and I can’t tell you how many guests have commented on how fabulous & fun you were. You are the best and I can’t wait to recommend you to ANYONE I know getting married in Cabo! And maybe if we’re lucky, we can have a margarita with you at the Capella someday down the road. Love you guys! Chelsea s Mom gives places her Grandmothers wedding ring on her finger. The first meet. Marc and Chelsea say each other before the ceremony and we created a really great first look!! Nothing on earth like little boys! I told you they were happy! Chelsea changed into a killer dress to finish off the night! PLEASE SEE AMAZING VIDEO!! 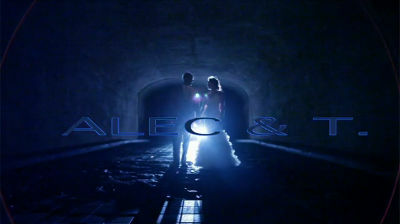 By Alec & T.
Y’all are a gorgeous, beautiful, glamorous, joyful couple! This is such fun to see everyone so happy. Enjoy! The pictures are so magnificent. What a fabulously beautfiul and loving couple you make. The pictures brought tears to my eyes. Norm and I were so thrilled to be part of your wedding celebration and loved every moment in Cabo. Alex and T., I can’t tell you how talented I believe you are and T., we really appreciated your comments and compliments to us as we danced the night away. Any bride and groom would be lucky to have you memorialize their wedding day! Alec & T, you do with humans what Ansel Adams did with Yosemite. You had great material to work with, granted, but what you have done with it is simply amazing! You capture the ineffable inner beauty of all of your subjects in these pictures. We are so happy for you Chelsea and Marc, and so glad that you found Alec and T to capture it all. Eat your hearts out, Will and Kate! So proud to be a part of all this, and to be related to such a lovely branch of the family tree. T, I really enjoyed reading the exchange above between you and Chelsea…you are two-of-a kind, a couple of real pips. p.s. Can’t wait to see the rest of the pix and the vid! Capella is a zen garden, but with tequila! Wow. Amazing photos of a beautiful couple, location and ceremony!!! Congrats to all! WOW! absoulutely exquisite! These photos are superb! Chelsea you are a beauty! The dress was perfect! I love the photos’s of the kids and I love Mexico. What a spectacular setting. I am jealous that Ray and I weren’t there. We wish both of you a wonderful and full life of fun and devotion. such wonderful photos! they completely bring back the moments & feelings from the wedding! love them!